Ajit Pai seems to think this is all a big joke. Less than two weeks after being named chairman of the Federal Communications Commission, Ajit Pai said one of his priorities was to "make the agency's operation more transparent," beginning with a pilot program to release internal documents pertaining to upcoming FCC meetings. It was a nice sentiment, and one that — on its face — seemed to be an attempt on Pai's part to do the right thing. If sunlight is the best disinfectant, surely shedding more of it on a government agency that deals in massively important, far-reaching technical policy is a good thing... right? It has been clear for months, however, that Pai does not intend to do the right thing where the internet — our internet — is concerned. Just one day after Pai released that statement on transparency, he quickly repealed several orders and reports issued by the FCC as the Obama administration wound down. Pai's reasoning was that these "midnight regulations" did not have the support of two of the four remaining commissioners and ran "contrary to the wishes expressed by the leadership of... congressional oversight committees." If you think that rationale sounds a little thin, because it basically boils down to "we didn't like it," you're not the only one. Commissioner Mignon Clyburn responded to Pai's actions that same day by noting that it's "a basic principle of administrative procedure" that actions should be explained. She also added that Pai was critical of the commission's earlier left-leaning majority because for "not providing sufficient reasoning behind its decisions." The list of items yanked from the record ranged from a report on potential security concerns around 5G to a paper that addresses progress on reforming discounted internet access for schools. Seemingly important stuff, by the sound of things. Most notably, an investigation into "zero-rating" -- a worrisome practice in which telecoms and ISPs don't count certain services against data caps, giving them distinct advantages over their competitors -- was shut down. These are meaty topics that would benefit from more insight, but the haste with which Pai dismissed these reports sure seems to indicate some disdain. Forget about leading by example — Chairman Pai's push for transparency has been marred by hypocrisy since the very beginning. And things obviously didn't end there. Later that month, the commission voted along party lines to revive and revise an exemption that allowed certain ISPs to dodge reporting requirements laid out in the 2015 Open Internet Order. That resuscitated exemption means that any internet service provider with fewer than 250,000 subscribers doesn't have to disclose information about fees, data caps and ways providers manage their networks to their customers. While this, strictly speaking, doesn't have much to do with the sort of operational transparency Pai pushed for early in his chairmanship, it's a chilling admission that the majority of the FCC — Pai included — isn't troubled by hiding important information from the public. Prior to the publication of the FCC's new plan to roll back the open internet protections laid out in the 2015 order, Chairman Pai met with a number of people, including representatives on lobbyist groups like USTelecom. Despite the far-reaching implications of those conversations, the contents of those meetings have never been revealed. Two FOIA requests and a subsequent lawsuit filed by watchdog group American Oversight shed some light on the situation, but what happened inside those meetings remains a mystery. 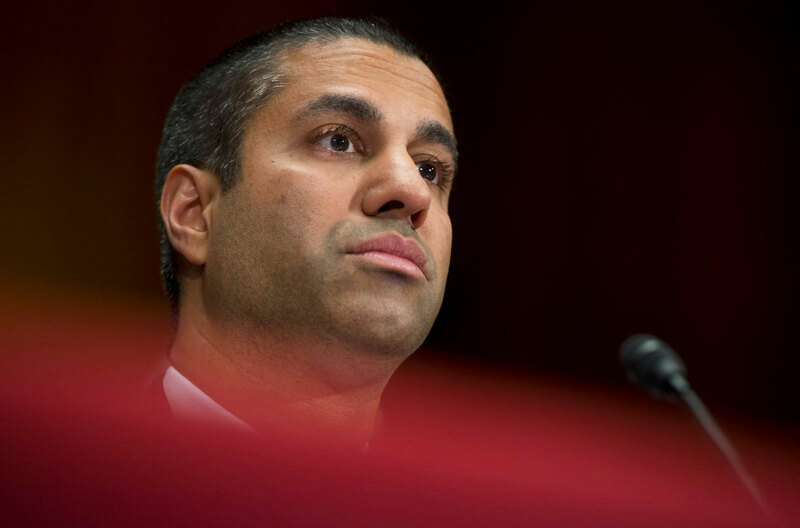 As a result, though, the FCC did eventually release calendar information and related messages about Pai's meetings, along with communications with Congress and the White House on the subject of net neutrality. This definitely isn't a good look for a man who began his tenure as FCC chairman claiming to want a more open process. Before enacting new rules for managing the internet, the FCC must also accept feedback from the public, though it's been made clear that even an avalanche of pro-net neutrality comments probably won't make a difference. Unless you're a lawyer or a telecom insider, your arguments are held in very, very low regard by the FCC. That sort of disregard for feedback was made even more apparent when reports surfaced alleging that many of the nearly 22 million statements the FCC received during its public comment period were fraudulent. An analysis performed by data scientist David Kao found that, after stripping out apparently fake comments, nearly 99 percent of the remaining submissions favored existing net-neutrality rules. A follow-up report from the Pew Research Center found that only 6 percent of comments submitted were unique, and that the seven copied-and-pasted comments accounted for 38 percent of all submissions. The kicker: Six of those seven comments "argued against net neutrality regulations," indicating a concerted effort to stuff this virtual ballot box. Pai's response to all this? Nothing of substance. He instead spent his time in the days leading up to the report's release taking aim at celebrity critics on Twitter and reaffirmed that the commenting process isn't an opinion poll "for good reason." Meanwhile, an investigation into the fake comments led by New York State Attorney General Eric Schneidermann was met by an unhelpful agency and an FCC spokesperson -- Mark Wigfield -- who derided the whole thing as a publicity stunt. The FCC inspector general's office finally relented last week, and signaled that it may — in some way — aid in the investigation. Still, the dragging of feet and the political posturing have prompted even more criticism of the FCC's handling of net neutrality. "While I fundamentally disagree with the merits of the FCC's proposal, what is equally concerning is the lack of integrity to the FCC's process that has led to this point," said commissioner Jessica Rosenworcel in a statement. "To review, the FCC has held zero public hearings. The FCC has knowingly maintained a system that has already been corrupted and is susceptible to abuse." Recently Pai delivered a keynote address at the Telecommunications and Media Forum at — where else? — Verizon Communications' Washington, D.C., headquarters. (Quick reminder, if it wasn't obvious: Verizon owns Engadget's parent company, Oath, but it has no control over what we cover and how.) The contents of Pai's address remain secret, as the event's organizers held to the decades-old Chatham House rule (just because, apparently), which stipulates that "participants are free to use the information received, but neither the identity nor the affiliation of the speaker(s), nor that of any other participant, may be revealed." Given Pai's tenure as a Verizon lawyer, Verizon's sponsorship of the event and the topics slated to be discussed there, it seems rather convenient that Pai is using an arcane British code to shield his comments. For all we know, Pai might have spent his time pandering to his telecom buddies, or gloating over the impending death of the Open Internet Order. As with many things the FCC has done this year, we'll probably never know what really happened. Thanks to a video Gizmodo obtained of Pai's recent address at the Federal Communications Bar Association Dinner, though, we do know that he doesn't mind joking about being a Verizon shill. Despite what he has said in the past, Ajit Pai's version of transparency is willfully ignorant at best and maliciously hypocritical at worst. When the FCC convenes to vote next week, the agency's ideological fault line will most certainly lead to an unavoidable conclusion. With Commissioner Brendan Carr joining Pai and Michael O'Rielly, the FCC will vote to abolish the common-carrier classification that would force ISPs and telecom giants to treat all data passing through their pipes equally. What happens next remains to be seen, but one thing seems clear: While true transparency might not have changed this outcome, it certainly would've helped the rest of us come to grips with the process. Unfortunately, Chairman Pai's words and actions just don't match up.